Home Eco Friendly Guide	Can We Actually Slow Bio-diversity Depletion Within 2010? 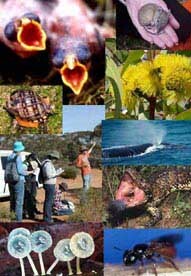 Can We Actually Slow Bio-diversity Depletion Within 2010? It is happening indiscriminately across the planet. Abundance and variety is falling continuously. A major new report says that virtually all indicators of the likely future for the diversity of life on Earth are heading in the wrong direction. This is discussed and the Global Biodiversity Outlook (GBO) is published, as national delegates gather in Brazil under the UN Convention on Biological Diversity. The Convention commits governments to slow the decline in the richness of living systems by 2010. According to the GBO, this aim demands “unprecedented efforts.” Ranging from trends in the extent of wildlife habitats to the build-up of nutrients such as nitrogen which can harm aquatic life, it sets out 15 indicators of progress towards the 2010 target.